The Salesman is looking sharp! 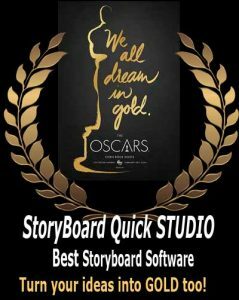 Our recently released SitCom Add-On Library for StoryBoard Quick, StoryBoard Quick Studio, and StoryBoard Artist brings fun to your workplace with wacky antics and lots of hard work! Whether clearing their in-boxes or making paper airplanes, these SitCom characters have the personalities for your next office project. If you’re working on a situational comedy, a commercial or an educational video, employ these characters to get the job done! The SitCom Add-On Library brings you four employees and one boss—a cohesive team hired to be effective and creative for your next previz project. These actors work as a team to help you present you visual ideas and land that job! The Accountant, The Assistant, The Boss, The Geek and The Salesman have the expertise to get down to work and get your project off the ground. These five characters are colorizable, allowing you to change their hair, skin, lips, shirt, pants, and shoes. Customize your characters’ work clothes, choose their skin tone, and dye their hair to make the perfect office worker with a stellar resumé. These men and women are also rotatable in all the standard StoryBoard Quick poses! Capture these office mates standing, walking, running, jumping, sitting, and prone from three different elevations: high, eye-level, and low. See more about the SitCom Add-On Library here! This library is currently on sale — but the savings won’t last long!